As a pioneer in organized food retailing in India, the modern-day Spencer’s Retail started operations back in the early 1990s in South India. Today, it has over 135 stores spread across over 40 cities in India. Convenience stores: These are neighborhood stores that cater to the daily and weekly top-up shopping needs of consumers. Ranging from 1,500 to 15,000 sq. ft. in size, they stock an assortment of fruits and vegetables, food and non-food FMCG products, staples and frozen foods. The larger of these stores, having a floor area of more than 10,000 sq.ft., usually also offer a selected range of baked goodies, frozen foods, personal and home care products, baby care essentials,basic wear,and electrical equipment. 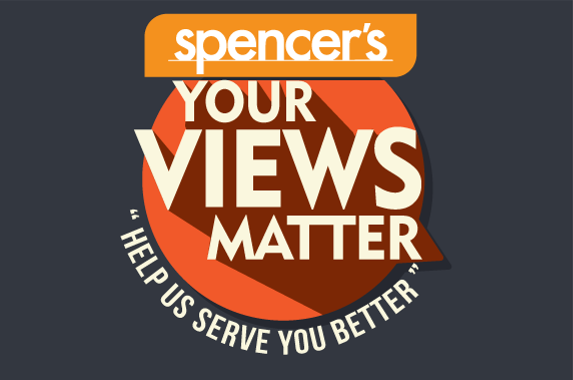 Hypermarkets: Spencer's hypermarkets are megastores that combine a supermarket with a department store. Ranging from 15,000 sq. ft to over 50,000 sq. ft. in size, they stock a wide and deep assortment of food, fashion, home and personal care, general merchandise, electrical and electronics, staples, frozen foods, and specialty sections, all under one roof. Despite having two distinct formats, Spencer’s brand ethos is evident in all it’s stores, and it's positioning remains constant.